Based on the piezoelectric technology, the Elveflow OB1 Mk3 is an outstanding microfluidic flow control system which allows researchers to initiate challenging microfluidic experiments. The 0.005 % flow stability ensures a superior flow control even at low flow rates, to provide quality results and low noise data upon first time. Thanks to its highly performant optimization, this microfluidic device has been developed to fit a wide range of microfluidic applications from digital microfluidics to cell culture experiments and bead and particle manipulation. "Microfluidics, like microelectronics in its time, have required to create new highly efficient specific instruments for research laboratories”, declared Mathieu Velve Casquillas, engineer in computer sciences and co-founder of Elvesys microfluidic innovation center. "With its piezo technology, Elveflow has enabled to multiply performances by 10 and to divide prices by 2 in the sphere of microfluidic research instrumentation”, he added. The OB1 Mk3 unites a pressure and a vacuum controller on the same channel. This feature can allow researchers to precisely control the position of an object within a microfluidic channel and to master flow control. It is delivered with the Elveflow software interface, specially designed to allow an easy flow control for researchers’ most complex experiments. The Elveflow microfluidic brand has developed patented piezoelectric regulators to set up a flow control that is 20 times more precise and 10 times faster than the other flow control devices on the market. Ultra-fast, ultra-stable, easy-to-use and customizable, the Elveflow OB1 Mk3 can also be modified to fit almost all specific microfluidic requirements. 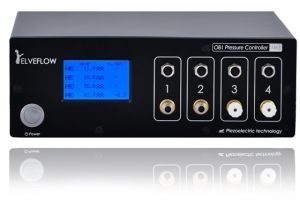 The Elveflow OB1 Mk3 covers a pressure control range from -1000 mbar to 8 bar. In addition, even when working with multiple dependent channels, the Elveflow pressure controller combines fast and precise flow control which allow researchers to use a microfluidic device fitting their major concerns. Each channel of the OB1 Mk3 pressure controller can be associated with a flow sensor. 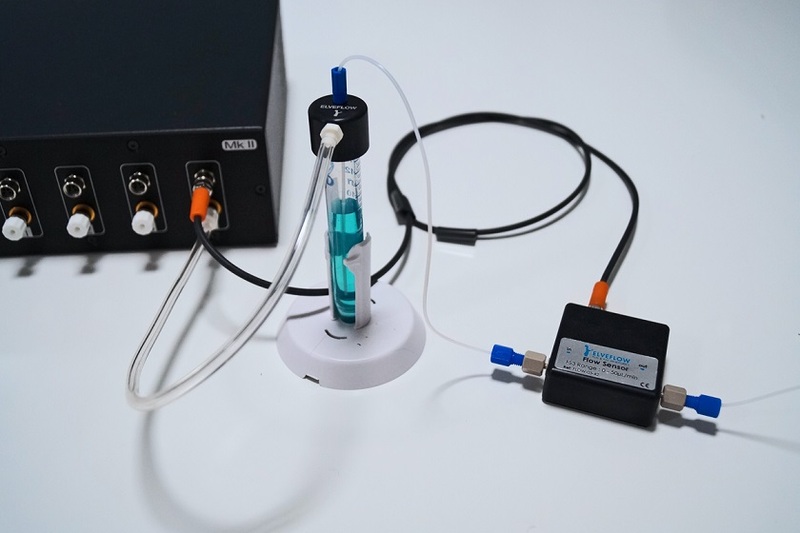 Using the Elveflow feedback loop, it is possible to monitor and control flow rate in a microfluidic setup while keeping stability and responsiveness of pressure driven flows. The Elveflow OB1 MK3 is part of a wide range of compatible highly efficient microfluidic devices which have made of the Elveflow brand a leader on the market of microfluidic instrumentation a few years only after its creation.